Sharp Corp., the embattled Japanese manufacturer best known for LCD flat-panel televisions and soon to be division of Hon Hai Precision Industry Co., (a Taiwanese company better known as Foxconn) is said to be strongly considering cutting another 1,000 jobs at the company as a result of continuing poor performance. This would be the third round of significant employment cuts in the last four years. 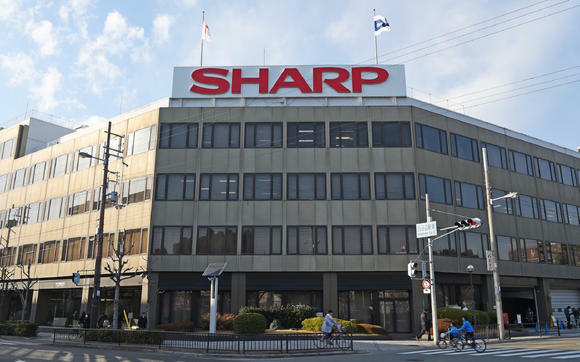 Japanese media is reporting that even though Sharp is in the process of being acquired by Foxconn, it is still struggling now with a much deeper than expected earnings declines. For this reason, the Osaka, Japan-based company must look at options, such as another round of job cuts. At the end of March, Sharp and Foxconn reached an agreement where Foxconn will acquire Sharp in a deal expected to close in October. Ultimately, it is expected that the Foxconn takeover will stabilize Sharp, which has struggled for years as the display business both gained more competitors and at the same time the global market began to soften. As part of this acquisition, Foxconn agreed to preserve Sharp jobs in Japan. However, Sharp says it is making this decision on its own as it is necessary to preserve the company through this acquisition period. In 2012, Sharp cut 3,000 jobs through an early retirement program offered to all employees. Then last year, Sharp cut another 3,200 jobs as their financial difficulties continued to worsen. All of these cuts have resulted in a total headcount of 20,000 for Sharp and its subsidiaries. This is but two-thirds of the level it had four years ago. Sharp alone, is down to less than 15,000 employees. In the past, these cuts were usually done in connection with the employee’s age – such as with early retirement incentives. But this time, according to a report by the Nikkei, the decision could be based on the performance of a given company unit. It is possible that the company may choose to drop their solar panel manufacturing and storage battery units. Foxconn’s CEO Terry Gou himself pointed the finger at the under-performing solar panel division as potentially expendable in a discussion with the media back in February. This new pressure is the result of deteriorating performance in their LCD division, which is struggling with a worldwide glut of panels, along with a slackening of demand. Even Apple has cut back on panel purchases as smartphone sales have softened. Ironically, at the same time the company is looking to cut jobs, it is also struggling with huge “brain drain” problem, as their best and brightest engineers head for the door to take jobs elsewhere at more stable companies. Rivals are snapping up Sharp engineers as fast as they can, in part to learn more about Sharp’s technologies and manufacturing processes. 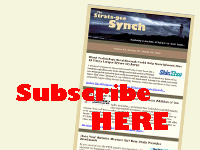 See more of our coverage on Sharp and Foxconn by clicking on their names in the Tag Cloud in the sidebar on the right hand side of our website. You can click on Sharp, Foxconn, or Hon Hai Precision Industry Co. to see a wide selection of additional stories on these companies.